The EU project FORESDA ‘Forest-based cross sectoral value chains fostering innovation and competitiveness in the Danube Region’, coordinated by CyberForum e.V., developed a Transnational Strategy on improving the framework conditions for forest-based cross-sectoral value chains. The strategy addresses identified needs for further development and an increase of R&D&I activities with respect to the regional innovation systems. The Strategy is a result of the first year FORESDA project activities, which were related to the regional mapping, SWOT analysis and selection of needs regarding forest-based sectors and regional innovation environments in the project regions (Germany, Slovenia, Austria, Hungary, Croatia, Romania, Bulgaria, Serbia, Bosnia and Herzegovina). 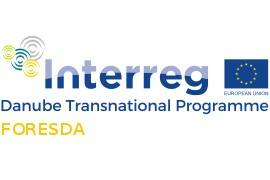 This strategy contributes explicitly to foster cross-sectoral, transnational innovation activities with respect to the other project activities: set-up of pilot innovation environments, the establishment of collaborative networks and capacity building activities, addressing the needs identified in the Transnational Strategy. The strategy addresses the real market need as a result of the several validation workshops that project partners organized in their regions, gathering relevant stakeholders from forest-based industries and regional innovation systems. You can find the strategy here. Have a look!